Saudi Arabia and the United Arab Emirates (UAE), which has recently reopened its embassy in Damascus, cooperated with Syrian President Bashar al-Assad, leading to the detection and killing of close to 80 leaders of the Syrian opposition. 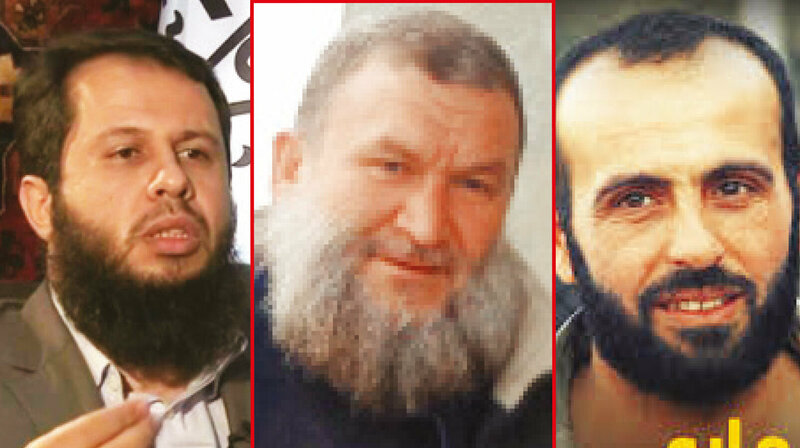 The locations of Jaysh al-Islam’s leader Zahran Alloush, Ahrar al-Sham leaders Hassan Aboud and Khalid al-Suri, leader of Liwa al-Tawhid Abdulkadir Salih, who all fell martyrs to the bombings of the Syrian regime, were shared by Saudi Arabia and the UAE with Assad, according to a Syrian opposition commander. In an exclusive interview with Yeni Şafak daily, Mahmoud Sulayman, a commander of the Mohammad Al-Fateh brigade, revealed that between the years 2012 and 2014, the Abu Dhabi and Riyadh brought hundreds of satellite phones to the front. “The passwords of the UAE-made ‘Thuraya’ and the British-made ‘Inmarsat’ satellite phones, which were given to group commanders by the UAE and Saudi Arabia, were shared with Damascus, thus this information led to the killings of dozens of opposition commanders,” he said. The United Arab Emirates reopened its embassy in Damascus last week, marking a diplomatic boost for President Bashar al-Assad from a U.S.-allied Arab state that once backed rebels fighting him. “The UAE decision ... came after a conviction that the next stage requires the Arab presence and communication in the Syrian file,” Gargash wrote on Twitter. An Emirati court has upheld a 10-year jail term handed down against Ahmed Mansour al-Shehhi, an activist convicted earlier for tarnishing the country’s “status and prestige” on social media, Amnesty International reported Monday.According to the rights watchdog, the verdict -- handed down by the United Arab Emirates’ Supreme Federal Court -- is "final and cannot be appealed".On May 31, al-Shehhi was convicted of “belittling the status and prestige of the United Arab Emirates (UAE) and its leaders”.He was also convicted of “seeking to damage the UAE’s relationship with its neighbors through the publication on social media of false reports and information”.The court also fined the activist 1 million Emirati dirhams (roughly $272,000).Amnesty International said the court's decision to uphold al-Shehhi’s conviction “confirms that there is no place for freedom of expression in the UAE”.The rights NGO went on to call for the activist’s “immediate” release. The UAE is said to be studying the possibility of resuming flights by its national carries to Damascus, just days after Abu Dhabi reopened its embassy in the war-torn country’s capital.“We are currently studying the situation at Damascus International Airport to see if it is possible for UAE national airlines to resume flights to Damascus,” an official statement obtained by Sputnik said.The UAE’s two national carriers, Emirates and Etihad, halted their flights to Syria in 2012 after Abu Dhabi decided to sever relations with the Syrian regime due to its violent crackdown on pro-democracy Arab Spring protests in 2011.The UAE reopened its embassy in Damascus on Thursday, the state news agency cited the foreign ministry as saying, confirming earlier reports.The embassy has been shut since the early months of Syria's conflict, which erupted in 2011.The UAE Foreign Ministry said its charge d' affaires assumed his duties at the embassy on Thursday, and that the reopening aimed to normalize relations between both countries and to curb risks of regional interference in "Arab, Syrian affairs". At the beginning of the Syrian civil war in 2011, Assad laundered 20 million dollars to the UAE. Accounts were opened under the names of three Syrian businessmen and were held under Emirati protection. Assad’s mother Anisa and sister Bushra fled to the UAE in 2012, and a portion of this money was transferred to them. 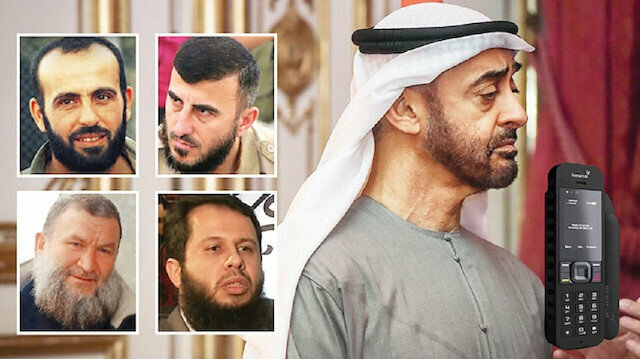 According to Syrian journalist Fuad Abdulaziz’s report published in the publication Zaman al-Wasl, the UAE had an active role in utilizing certain figures of the Interim Government of Syria and the National Coalition of Syrian Revolutionary and Opposition forces for various ends. UAE Crown Prince Mohammed bin Zayed also played a part in the capturing of many opposition-held areas, Abdulaziz added. With the resignation of the Special Representative to the Global Coalition to Defeat Daesh, Brett McGurk, after President Donald Trump’s announcement that American soldiers would be drawing from Syria, Mohammad Dahlan, who is a great supporter of Saudi Crown Prince bin Salman, is set to take his place.McGurk has had close dealings with the Kurdistan Workers’ Party (PKK) terrorist organization in Syria for years and has tried to provoke locals against Turkey. He has also assumed a role in the chaos in Iraq. Trump declared that he is a “grandstander” and that he “did not know him” on Twitter.Brett McGurk, who I do not know, was appointed by President Obama in 2015. Was supposed to leave in February but he just resigned prior to leaving. Grandstander? The Fake News is making such a big deal about this nothing event!&mdash; Donald J. Trump (@realDonaldTrump) 23 Aralık 2018 Dahlan recently conducted meetings with representatives of the PKK and Assad in Dubai, Cairo and Amman. On the agenda was decreasing Turkey’s influence in Syria as well as supporting Daesh.Dahlan, the former security chief for the Palestinian Authority who is also known as the “hitman” of the Middle East, was the main mediator between the UAE government and an assassination squad in Yemen.Dahlan aims to end Turkish influence in the region The first goal of Dahlan, who is known to be supported by UAE Crown Prince Mohammed bin Zayed and Saudi Crown Prince Mohammed bin Salman, is to prevent Turkish military and political influence in the Syrian regions of Hasakah, Deir ez-Zor and Raqqa. To this end, Dahlan recently came together with figures from the Syrian “political wing” such as Ahmad Jarba, Nawaf Bashir, Hassan Abdulazim and Haytham Manna. From the “military wing”, he met with commanders of the Jaysh Maghawir, Jaish al Ashair, and the Al-Senadid. These meetings, in which dirty ploys regarding Syria’s northern and eastern region were discussed, were also attended by former private soldier for Iraq, Abu Nazir, who cooperated with the U.S. in Iraq’s invasion.Dahlan launches tirade to defend Salman after Turkish media exposes his dirty gameUAE’s bin Zayed: The man behind the Middle East’s bloodiest conflictsSaudi delegation gives out $200 million to start smear campaign against Turkey Following the meeting conducted in early December in Jordanian capital Amman, a six-person Saudi delegation, headed by the Saudi intelligence’s Syria chief, was sent to Syria. With a Syrian companion, this delegation visited the areas of Deir- ez-Zor, Raqqa, Ras al-Ayn, Ayn Isa, Manbij and Hasakah, and gave out $200 million. They requested that tribal leaders attend the anti-Turkey meetings and demonstrations organized by the Kurdistan Workers’ Party (PKK) and make statements condemning Turkey.Dahlan allegedly hospitalized in Dubai after refusing to take fall for Khashoggi murder‘Saudi, UAE pressure Sudan to sever ties with Turkey through protests’Plans to revive Daesh The new structuring prepared by the UAE and Saudi Arabia and headed by Dahlan aims to support and revive Daesh by giving the terror group the weapons allocated to the PKK in order to obstruct Turkey’s operations in the country. Turkish President Recep Tayyip Erdogan has signaled that a cross-border operation against the terrorist PYD/YPG in Syria will happen soon. Since 2016, Ankara has carried out two similar military operations in northern Syria. In the first phase, 5,000 Daesh terrorists, who were detained by the PKK and Peshmerga, will be included in the “fight against Turkey,” which will be followed by recruiting members in Egypt’s Sinai, as well as Libya and Tunisia.The PKK is listed as a terrorist organization by Turkey, the European Union and the United States. The YPG and PYD are its Syrian extensions.Dahlan’s team will work together with one of the darkest intelligence services of the Middle East, Syria’s Mukhabarat, in establishing Deash cells in Syria’s Idlib and Afrin, as well as the Euphrates Shield region.A possible mission east of the Euphrates, which Turkey’s leadership has been suggesting for months, would follow two successful cross-border Turkish operations into Syria since 2016 – Operation Euphrates Shield and Operation Olive Branch – both meant to eradicate the presence of YPG/PKK and Daesh terrorists near Turkey’s borders.